Western diets are high in carbohydrates, leading to high blood sugar levels, whereas the ketogenic diet enforces a small amount of carbs to be consumed. Keto-adaption is a complex set of metabolic processes in which the body shifts from using primarily glucose for energy to using largely ketones and fat for energy. 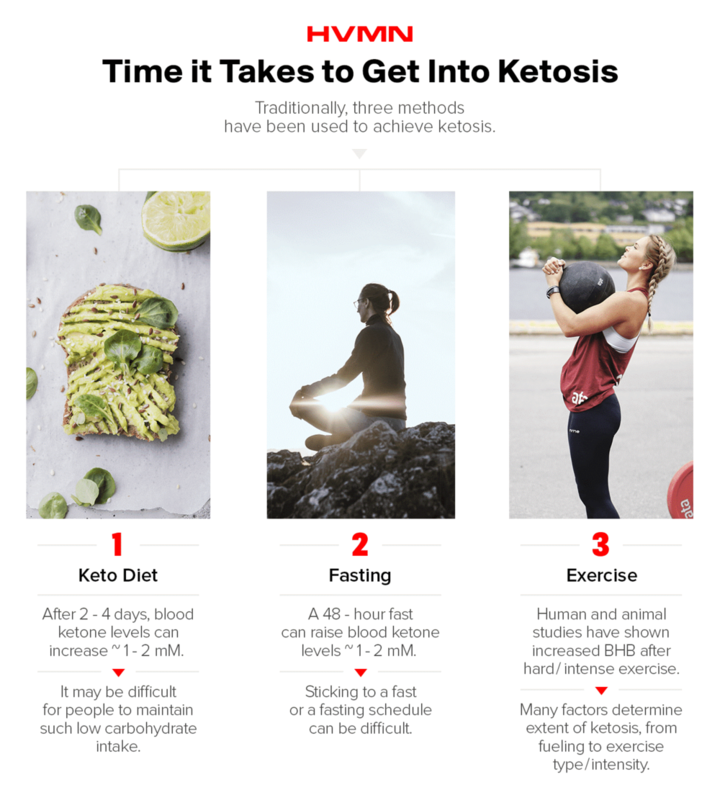 Achieving ketosisdoesn’t mean the body is maximizing the use of these ketones; it takes longer than a few days for the body to get used to burning fat and ketones as its predominant fuels. But it takes time. Robert Sikes is a professional bodybuilder and founder/owner of Keto Savage. He's a bodybuilder on the keto diet; backstage at events, he receives inquisitive looks from competitors when they find out he's keto. But the results speak for themselves and after events, he'll even get asked about he's able to train with such little carb intake. He says it can takes years to full fat-adapt, and that it’s something that doesn’t happen in the short term. Longevity: The ketogenic diet may help to increase lifespan and healthspan. Anyone from ametuer dieter to serious athlete can carb cycle. There are different options for how carefully you implement carb cycling, depending on training and recovery needs as well as your overall goals. Low-carb or medium-carb days can be used to fuel less-intense workouts or recovery days. Depending on training volume, low/medium carb days can be anywhere from 50g - 150g of carbs. 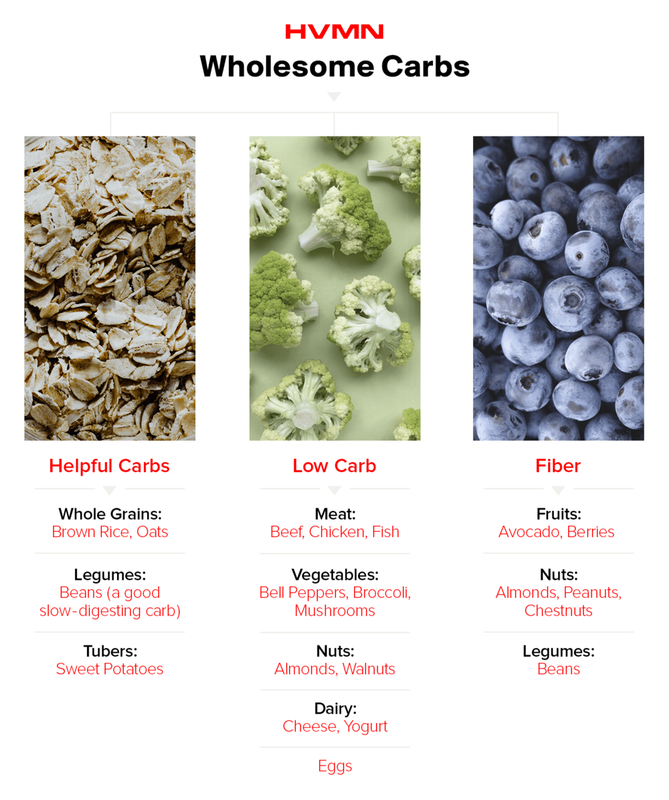 If you’ve tried carb cycling, let us know the results in the comments. 1. Volek, J.S., Noakes, T.D., and Phinney, S.D. (2015). Rethinking fat as a performance fuel. Eur J Sport Sci 15. 2. Westman, E.C., Yancy, W.S., Edman, J.S., Tomlin, K.F., and Perkins, C.E. (2002). Effect of six-month adherence to a very-low-carbohydrate diet program. Am J Med 113. 3. Borsheim E, Cree MG, Tipton KD, Elliott TA, Aarsland A, Wolfe RR. Effect of carbohydrate intake on net muscle protein synthesis during recovery from resistance exercise. J Appl Physiol. 2004;96(2):674-8. 4. Hansen AK, Fischer CP, Plomgaard P, Andersen JL, Saltin B, Pedersen BK. Skeletal muscle adaptation: training twice every second day vs. training once daily. J Appl Physiol. 2005;98(1):93-9. 5. Kunces L, Volk B, Freidenreich D, et al. Effect of a very low carbohydrate diet followed by incremental increases in carbohydrate on respiratory exchange ratio. FASEB Journal. 2014;28(1). 6. Volek, J.S., Freidenreich, D.J., Saenz, C., Kunces, L.J., Creighton, B.C., Bartley, J.M., Davitt, P.M., Munoz, C.X., Anderson, J.M., Maresh, C.M., et al. (2016). Metabolic characteristics of keto-adapted ultra-endurance runners. Metabolism 65, 100-110. 7. Reaven GM. Effects of differences in amount and kind of dietary carbohydrate on plasma glucose and insulin responses in man. Am J Clin Nutr. 1979;32(12):2568-78. 8. Gower BA, Goss AM. A lower-carbohydrate, higher-fat diet reduces abdominal and intermuscular fat and increases insulin sensitivity in adults at risk of type 2 diabetes. J Nutr. 2015;145(1):177S-83S. 9. Impey SG, Hearris MA, Hammond KM, et al. Fuel for the Work Required: A Theoretical Framework for Carbohydrate Periodization and the Glycogen Threshold Hypothesis. Sports Med. 2018;48(5):1031-1048. 10. Sacks FM, Bray GA, Carey VJ, et al. Comparison of weight-loss diets with different compositions of fat, protein, and carbohydrates. N Engl J Med. 2009;360(9):859-73. 11. Harvie M, Wright C, Pegington M, et al. The effect of intermittent energy and carbohydrate restriction v. daily energy restriction on weight loss and metabolic disease risk markers in overweight women. Br J Nutr. 2013;110(8):1534-47. 12. Pizza FX, Flynn MG, Duscha BD, Holden J, Kubitz ER. A carbohydrate loading regimen improves high intensity, short duration exercise performance. Int J Sport Nutr. 1995;5(2):110-6. 13. Chambers ES, Bridge MW, Jones DA. Carbohydrate sensing in the human mouth: effects on exercise performance and brain activity. J Physiol (Lond). 2009;587(Pt 8):1779-94. 14. Ivy JL. Glycogen resynthesis after exercise: effect of carbohydrate intake. Int J Sports Med. 1998;19 Suppl 2:S142-5. 15. Yancy W, Olsen MK, Guytib JR, et al. A Low-Carbohydrate, Ketogenic Diet versus a Low-Fat Diet To Treat Obesity and Hyperlipidemia: A Randomized, Controlled Trial. Ann Intern Med. 2004;140(10):769-777. 16. Harchaoui KE, Visser ME, Kastelein JJ, Stroes ES, Dallinga-thie GM. Triglycerides and cardiovascular risk. Curr Cardiol Rev. 2009;5(3):216-22. 17. Volek, J.S., Gomez, A.L., and Kraemer, W.J. (2000). Fasting lipoprotein and postprandial triacylglycerol responses to a low-carbohydrate diet supplemented with n-3 fatty acids. J. Am. Coll. Nutr. 19, 383-391. 18. Chidakel A, Mentuccia D, Celi FS. Peripheral metabolism of thyroid hormone and glucose homeostasis. Thyroid. 2005;15(8):899-903. 19. Bisschop PH, Sauerwein HP, Endert E, Romijn JA. Isocaloric carbohydrate deprivation induces protein catabolism despite a low T3-syndrome in healthy men. Clin Endocrinol (Oxf). 2001;54(1):75-80. 21. Cox, P.J., Kirk, T., Ashmore, T., Willerton, K., Evans, R., Smith, A., Murray, Andrew J., Stubbs, B., West, J., McLure, Stewart W., et al. (2016). Nutritional Ketosis Alters Fuel Preference and Thereby Endurance Performance in Athletes. Cell Metabolism 24, 1-13. 22. Holdsworth, D.A., Cox, P.J., Kirk, T., Stradling, H., Impey, S.G., and Clarke, K. (2017). A Ketone Ester Drink Increases Postexercise Muscle Glycogen Synthesis in Humans. Med Sci Sports Exerc. 23. Vandoorne, T., De Smet, S., Ramaekers, M., Van Thienen, R., De Bock, K., Clarke, K., and Hespel, P. (2017). Intake of a Ketone Ester Drink during Recovery from Exercise Promotes mTORC1 Signaling but Not Glycogen Resynthesis in Human Muscle. Front. Physiol. 8, 310. 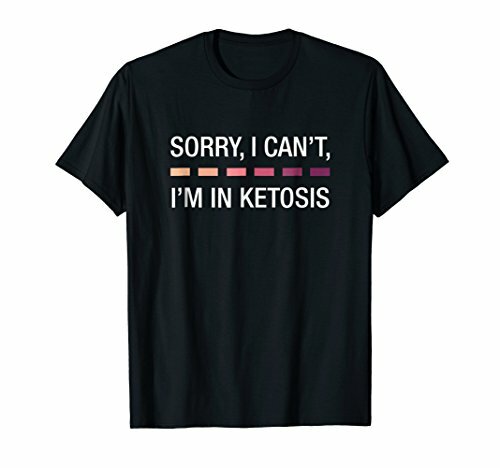 The keto diet has one goal: get the body producing ketones. From this, all the health benefits you've heard of—from weight loss to performance—trickle down. The question is...how do you get your body to begin producing ketones? You may be doing keto wrong. There's a ton of misinformation out there about the keto diet. We're on top of the scientific literature. Be the first to read our commentary on the research by subscribing. such as Kado, from HVMN. 1.Cahill, G.F., Jr. (2006). Fuel metabolism in starvation. Annu Rev Nutr 26, 1-22.2.Krebs, H.A. (1966). The regulation of the release of ketone bodies by the liver. Adv. Enzyme Regul. 4, 339-354.3.Volek, J.S., and Phinney, S.D. (2012). The Art and Science of Low Carbohydrate Performance. (Beyond Obesity LLC ).4.Rodger, S., Plews, D., Laursen, P., and Driller, M. (2017). The effects of an oral β-hydroxybutyrate supplement on exercise metabolism and cycling performance.5.Vandenberghe, C., St-Pierre, V., Pierotti, T., Fortier, M., Castellano, C.-A., and Cunnane, S.C. (2017). Tricaprylin Alone Increases Plasma Ketone Response More Than Coconut Oil or Other Medium-Chain Triglycerides: An Acute Crossover Study in Healthy Adults. Current Developments in Nutrition 1.6.Cox, P.J., Kirk, T., Ashmore, T., Willerton, K., Evans, R., Smith, A., Murray, Andrew J., Stubbs, B., West, J., McLure, Stewart W., et al. (2016). Nutritional Ketosis Alters Fuel Preference and Thereby Endurance Performance in Athletes. Cell Metabolism 24, 1-13.7.Gibson, A.A., Seimon, R.V., Lee, C.M., Ayre, J., Franklin, J., Markovic, T.P., Caterson, I.D., and Sainsbury, A. (2015). Do ketogenic diets really suppress appetite? A systematic review and meta-analysis. Obes. Rev. 16, 64-76.8.Laffel, L. (1999). Ketone bodies: a review of physiology, pathophysiology and application of monitoring to diabetes. Diabetes Metab. Res. Rev. 15, 412-426.9.Atkins, R.C., Mandell, F.G., and Monica, H. (1972). Dr. Atkins' diet revolution: The high calorie way to stay thin forever. (D. McKay Company).10.Paoli A, Rubini A, Volek JS, Grimaldi KA. 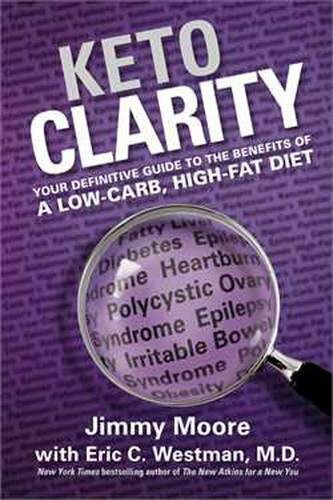 Beyond weight loss: a review of the therapeutic uses of very-low-carbohydrate (ketogenic) diets. European Journal of Clinical Nutrition. 2013;67(8):789-796. doi:10.1038/ejcn.2013.116.11.Ketogenic Diet Reduces Midlife Mortality and Improves Memory in Aging Mice Newman, John C. et al. Cell Metabolism , Volume 26 , Issue 3 , 547 - 557.e812.Westman, E.C., Yancy, W.S., Edman, J.S., Tomlin, K.F., and Perkins, C.E. (2002). Effect of six-month adherence to a very-low-carbohydrate diet program. Am J Med 113.13.Diabetes UK Website: Blood Sugar Level Ranges14.Kossoff, E.H., and Rho, J.M. (2009). Ketogenic Diets: Evidence for Short- and Long-term Efficacy. Neurotherapeutics 6, 406-414.15.Slavin, J. (2013). Fiber and Prebiotics: Mechanisms and Health Benefits. Nutrients 5, 1417-1435.16.Pfeifer, H.H., and Thiele, E.A. (2005). Low-glycemic-index treatment: a liberalized ketogenic diet for treatment of intractable epilepsy. Neurology 65, 1810-1812.17.Mente, A., Dehghan, M., Rangarajan, S., McQueen, M., Dagenais, G., Wielgosz, A., Lear, S., Li, W., Chen, H., Yi, S., Wang, Y., Diaz, R., Avezum, A., Lopez-Jaramillo, P., Seron, P., Kumar, R., Gupta, R., Mohan, V., Swaminathan, S., Kutty, R., Zatonska, K., Iqbal, R., Yusuf, R., Mohammadifard, N., Khatib, R., Nasir, N.M., Ismail, N., Oguz, A., Rosengren, A., Yusufali, A., Wentzel-Viljoen, E., Puoane, T., Chifamba, J., Teo, K., Anand, S.S., and Yusuf, S. (2017). Association of dietary nutrients,with blood lipids and blood pressure in 18 countries: a cross-sectional analysis from the PURE study. The lancet. Diabetes & endocrinology 5, 774-787.18.Volek, J.S., Gomez, A.L., and Kraemer, W.J. (2000). Fasting lipoprotein and postprandial triacylglycerol responses to a low-carbohydrate diet supplemented with n-3 fatty acids. J. Am. Coll. Nutr. 19, 383-391.19.Dehghan, M., Mente, A., Zhang, X., Swaminathan, S., Li, W., Mohan, V., Iqbal, R., Kumar, R., Wentzel-Viljoen, E., Rosengren, A., Amma, L.I., Avezum, A., Chifamba, J., Diaz, R., Khatib, R., Lear, S., Lopez-Jaramillo, P., Liu, X., Gupta, R., Mohammadifard, N., Gao, N., Oguz, A., Ramli, A.S., Seron, P., Sun, Y., Szuba, A., Tsolekile, L., Wielgosz, A., Yusuf, R., Hussein Yusufali, A., Teo, K.K., Rangarajan, S., Dagenais, G., Bangdiwala, S.I., Islam, S., Anand, S.S., and Yusuf, S. (2017).,Associations of fats and carbohydrate intake with cardiovascular disease and mortality in 18 countries from five continents (PURE): a prospective cohort study. Lancet.20.FDA Website: Final Determination Regarding Partially Hydrogenated Oils (Removing Trans Fat)21.Bhavsar, N., and St-Onge, M.P. (2016). The diverse nature of saturated fats and the case of medium-chain triglycerides: how one recommendation may not fit all. Curr. Opin. Clin. Nutr. Metab. Care 19, 81-7.22.Rabast, U., Vornberger, K.H., and Ehl, M. (1981). Loss of weight, sodium and water in obese persons consuming a high- or low-carbohydrate diet. Ann. Nutr. Metab. 25, 341-349.23. (D)-beta-Hydroxybutyrate inhibits adipocyte lipolysis via the nicotinic acid receptor PUMA-G. Taggart et al J Biol Chem. 2005 Jul 22;280(29):26649-52. When testing blood using a BHB/glucose meter, you’re getting the most accurate measurement available. 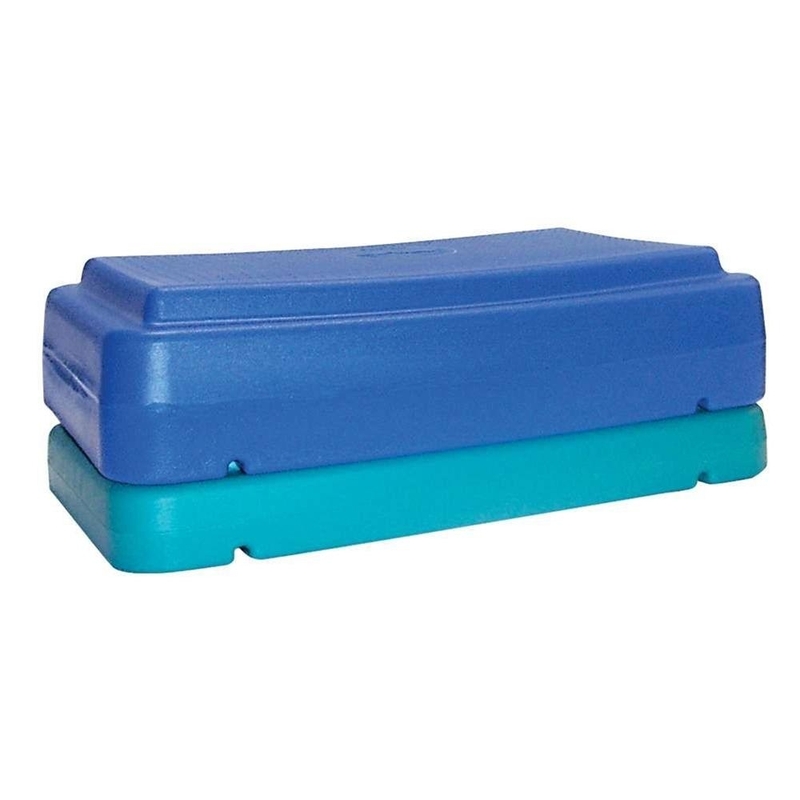 The meters measure glucose or ketone levels depending on which test strips are inserted. Those with diabetes commonly use the same procedure and the same blood meters to measure their blood glucose levels. It's critical for people with diabetes to control blood sugar levels and also to avoid dangerously high levels ( > 20mM) of ketones, known as ketoacidosis. A blood BHB/glucose meter provides the most accurate measurement available. These meters measure glucose or ketone levels depending on which test strips are used. Those with diabetes commonly use the same procedure and the same blood meters to measure their blood glucose levels. It's critical for people with diabetes to control blood sugar levels and also to avoid dangerously high levels ( > 20mM) of ketones, known as ketoacidosis. If you're interested in achieving ketosis almost immediately, try our flagship product, HVMN Ketone. Blood ketone levels after using HVMN Ketone can reach 6mM, making it one of the most advanced ketone products on the market. You can try it here. Try consuming the product and testing blood ketone levels after to see the impactful results. A "healthy" food that is actually NOT healthy! Most oatmeal that people consume is processed, instant, oatmeal, so many of the healthier properties have been stripped away by this processing. Most of the instant, boxed oatmeal you purchase at a grocer has added sugar, and because of these two things, oatmeal happens to be a high glycemic index food, meaning it spikes your blood sugar (Here is a study with these findings http://pediatrics.aappublications.org/content/103/3/e26). HIgh glycemic foods create a fat storage reaction in the body and a sudden drop of blood sugar, which sends signals to the body that you are hungry …even though you may have eaten as soon as a few minutes ago! Along with making you hungry sooner, the study found that people who consume oatmeal instead of eggs for breakfast were found to eat 81 percent more food during the day (those who ate steel cut oats ate 51 percent more, than those who ate the omelet, this being a less processed version of oatmeal). What was also found is that those who ate the oatmeal were found to have higher levels of insulin, blood sugar and stress hormones (cortisone and adrenaline), all of which wreak havoc on our metabolic systems and create inflammation (which, guess what, is NOT heart healthy). Bottom line is, just because a food is labeled with a claim, doesn’t mean this is actually true or that the food manufacturer has to meet any standard to meet this claim. Stick with foods that mainly don’t have any labels at all or need to make a claim (like meat, produce, and dairy). Things in a box or a package have to make claims to get your attention and to convince you that it’s food, when you should be sticking to eating mainly foods that don’t need fancy labels or health claims. The Fire Team Whiskey eating plans and supplements transition our participants to a ketogenic lifestyle. We designed our nutritional programs to slowly walk a person to a keto lifestyle over the course of 90 days. Taking a slower approach can help you avoid the dreaded “keto flu” and this is why we designed our nutritional plans in this manner. It is important to be vigilant and to make these adjustments in your lifestyle by adding supplements and paying attention to potential signs of the keto flu. If you would like to take a slower approach to starting a keto lifestyle and try the Fire Team Whiskey Keto nutritional Programs, chech out your options by clicking on the button below. You've decided to try the keto diet. The low-carb, high-fat diet can be great for performance and decreasing body weight, but the body needs a little bit of time to adapt to fat as an energy source. Often, there are some symptoms involved during this period of adaptation. It's called the "keto flu," a commonly-experienced set of side-effects associated with carbohydrate withdrawal. This may sound like withdrawal from substance abuse; interestingly, recent studies have compared the effect of carbohydrates (particularly sugar) on the brain to that of addictive drugs like cocaine.1 Reported symptoms include: mood swings, irritability, fatigue, and dizziness. It can last anywhere from a day to a couple weeks. Shortsighted dieters may allow keto flu knock them off the diet altogether–but after a period of metabolic adaptation, the body adjusts to the change and will reach a state where it's burning fat as a fuel source, a largely-stored, but for many, a largely untapped bodily energy source. There are several ways to reduce, prevent or manage symptoms of the keto flu. We'll discuss some of the most common symptoms, the science behind them, and offer some solutions to nascent keto dieters. Carbohydrates are the body's preferred energy source. When those are restricted, the body responds through a series of changes to transition from using glucose (stored carbs) for energy to using fat. This gear-switching is a good thing; but it's also the reason for keto flu. First, blood sugar drops and causes hypoglycemia,, which is low blood sugar < 55 mg/dL.2 In response, the body changes both the fuel it uses for energy and how neurons in the brain function. Second, changes occur in other bodily systems that alter electrolyte, water and hormone levels–this can lead to dehydration from following the ketogenic diet. The physical consequences of sudden carb removal, we must first understand that our body generates energy using two main mechanisms: glycolysis (converting glucose to energy) and beta-oxidation (converting fat to energy). What happens when the body hasn't yet learned to burn fat and produce ketones? That's where hypoglycemia comes it. The result is a temporary energy deficit and low blood sugar. Remember: this is a transient period of adaptation. Switching to using fats and ketones as energy varies by person, depending on a mix of genetics and habitual diet; some individuals demonstrate a greater metabolic flexibility than others. These lucky individuals may show far fewer symptoms or experience the flu for a shorter duration. Research has found the same pathways of the reward system in the brain are activated in both high-carb foods and cocaine or heroin. Both cause the release of dopamine (a "feel good" hormone). Regular carb consumption modifies gene expression and dopamine receptor availability in that reward system over time. This translates to a need for even more carbohydrates to have the same effect on those brain receptors. So the sudden removal of carbohydrates can lead to withdrawn symptoms, both physical and psychological. Why does the ketogenic diet cause these imbalances? Carbohydrate restriction, and thus insulin release. With a lower carb intake, insulin levels drop. Insulin signals cells in the body to absorb glucose in the bloodstream, and signals the kidneys to store more water.5 Lower insulin levels (as a result of decreased carb intake) means the kidneys now store less water. This results in dehydration and the flushing out of electrolytes in the process.6 Stored carbohydrates (glycogen) trap three grams of water per gram of glycogen–so this also causes a depletion while on keto, further contributing to the reduced amount of water and electrolytes in the body. 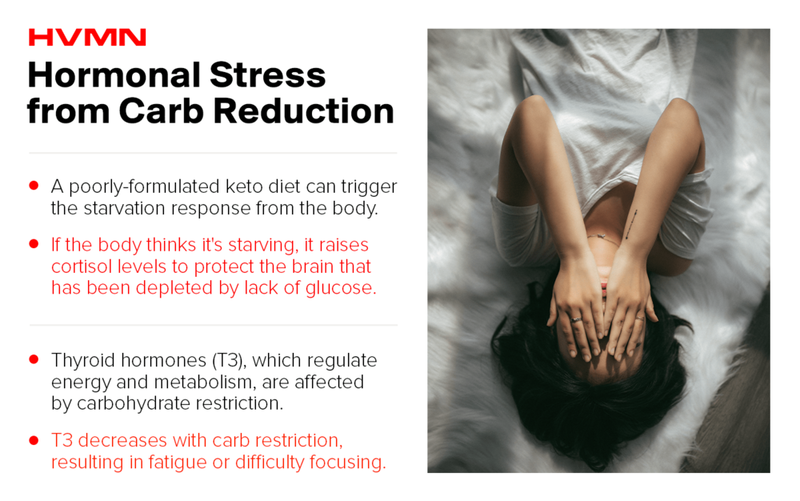 A poorly-formulated ketogenic diet (one too low in calories or deficient in micronutrients) can trigger a starvation response in the body, thus raising levels of cortisol (stress hormone). 7Cortisol release is the body's attempt to product the brain by raising blood sugar, trying to compensate for the now low blood sugar caused by carb reduction. If excess cortisol is released, stress response and blood sugar stability can become deregulated. Thyroid hormones are also something to consider. They have several function, including the maintenance and regulation of carbohydrate/energy metabolism. The T3 (or euthyroid) is the most biologically active form of the hormone, and is linked to dietary carb consumption. T3 levels have shown to decrease in response to carb restriction below a certain threshold (which varies from person to person).8 The result may be fatigue or difficulty focusing through the adaptation period. Conversely, lowered T3 is also hypothesized to bring several benefits if thyroid function is normal. This includes improving longevity and preserving muscle mass. Symptoms of the keto flu vary from person to person. But there are easy solutions one can leverage to help combat these symptoms. If you're looking for a supplement to help with keto flu, try HVMN Ketone, our flagship product. 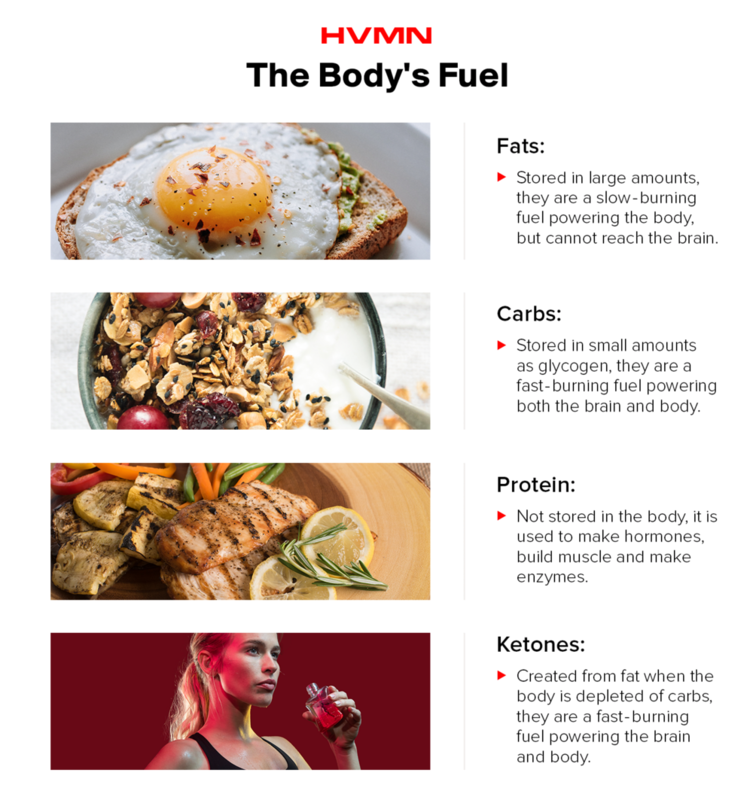 HVMN Ketone can give you an energy boost without the need for carbs, while keeping your blood ketone levels elevated. Try it here. In ketosis, headaches can occur due to electrolyte imbalance and dehydration. With low insulin levels, the kidneys go into a diuretic state, so potassium, water, and sodium are excreted. A silver lining here is the loss of excess water weight (and thus weight loss) with the decrease in stored water. Conversely, dehydration and electrolyte imbalance are the reasons for many keto flu symptoms. Monitor salt and water intake while on keto, and consider supplementing with electrolytes. Supplementing other minerals is also vital. Magnesium is important for the body, contributing to muscle and nerve function, blood glucose control, and protein synthesis.11 Potassium is also helps proper functioning of the heart, digestion and muscle function.12 Foods rich in potassium and magnesium include tomatoes, avocados, salmon, nuts, leafy greens, and animal protein. Bouillon cubes, homemade stocks (like beef broth or chicken broth), and sea salt are all rich in sodium and minerals. One should consume these to minimize the risk of headaches. Cramping is the most common sign that electrolytes are out of balance. The common mistake is not drinking enough water to compensate for water during the keto transition phase, which may result in low blood pressure and constipation, other than just cramps.6 Causes for cramps can also be caused by low potassium or low magnesium. Animal protein is an excellent potassium source, and the juices from cooking meats should be retained for this purpose. For magnesium, seek out leafy greens; the darker the better! This may be a result of the digestive system transitioning on keto. Any dramatic lifestyle changes impact gut microbiome, inevitably altering bowel movements. Dehydration can worsen constipation (because of the increase excretion of fluids by the kidneys). Eliminating high-carb fruits and vegetables can also reduce dietary fiber and contribute to constipation. Eat plenty of fiber-rich fruits and vegetables, exercise and drink plenty of water every day. But be warned–eating excessive fiber can also lead to constipation, so finding a balance is necessary. That balance is something that can only be determined from personal experience.13 MCT or medium-chain triglyceride oils are a solution. This may help to relieve constipation, as fat can help push bowel movements through. Finally, care should be taken to ensure your calorie intake is adequate, as not eating enough calories can also contribute to constipation. Some keto dieters experience bad breath, discerningly fruity or similar to nail polish remover. Besides the oder, this might be positive–it's an indicator of a body in ketosis. However, it's usually reported to go away within a week or two, once the body adapts to the new metabolic state it is in. Maintaining good oral hygiene, increasing water intake, and using gum or breath freshener can help mask or reduce the smell in the interim while the body is still adapting. As the body adapts to ketosis, decrease in energy levels and weakness are often reported, which can impair physical performance. Fatigue can last anywhere from three days to weeks as the body prepares new enzymes for the diet. The tiredness may be caused by thyroid hormone and cortisol changes; the body is trying to compensate for the lowered carbohydrate intake by releasing more cortisol, which raises blood sugar. The possible result? Irritable mood and reduced sleep quality. Since cortisol levels are likely to reduce again when the body becomes keto-adapted, these symptoms should be temporary. To lessen fatigue, water and mineral intake should be carefully monitored (and likely increased). B vitamins, particularly B5, are vital for helping with fatigue and lethargy. It's crucial to eat enough calories from fat for sustenance, as being under-fueled can also cause fatigue. Removing glucose from the diet can affect mood and cause cravings. Replacing foods you crave with low-carb alternative or removing food "triggers" can help reduce the psychological (and thus physiological) symptoms of carb withdrawal. While there are low-carb recipes for some of your favorite treats, many people who have successfully transitioned to the ketogenic diet say that just going “cold turkey” on sweet-tasting things and refined sugars helps to get rid of those nasty cravings sooner. The ketogenic diet is difficult to maintain–there’s a ton of misinformation and pseudoscience out there about the best ways to burn fat. Subscribe to receive the latest facts and techniques (backed by science) for executing keto properly. Keto flu systems are often transient, disappearing completely after keto-adaptation. Lifestyle determines length and severity of the keto flu for the individual, with symptoms likely greater for individuals who ate a high-carb diet previously. Even during transition, the symptoms can be alleviated if treated smartly. A well-formulated low-carb diet can progress without significant symptoms if the common mistakes of poor mineral intake, lack of fiber, electrolyte imbalance, and dehydration are addressed. Avoid falling into the common trap of assuming your body is not suited to the low-carb diet after just a few days, and instead, consider careful monitoring of water and mineral intake particularly for the days/weeks it takes your body to adapt. Have a look online for some keto support groups if you have questions, and perhaps think about trying exogenous ketones, like HVMN Ketone. Exogenous ketones can give you an energy boost as beta-hydroxybutyrate without the need to take in carbs. Have you experienced keto flu symptoms while transitioning onto the keto diet? Tell us about your experience in the comments below. 1.Ahmed SH, Guillem K, Vandaele Y. Sugar addiction: pushing the drug-sugar analogy to the limit. Current opinion in clinical nutrition and metabolic care. 2013; 16(4):434-9.2.Desimone ME, Weinstock RS. Non-Diabetic Hypoglycemia. [Updated 2017 Sep 23]. In: De Groot LJ, Chrousos G, Dungan K, et al., editors. Endotext [Internet]. South Dartmouth (MA): MDText.com, Inc.; 2000-. Available from: https://www.ncbi.nlm.nih.gov/books/NBK355894/3.Manninen AH. Metabolic Effects of the Very-Low-Carbohydrate Diets: Misunderstood “Villains” of Human Metabolism. Journal of the International Society of Sports Nutrition. 2004;1(2):7-11. doi:10.1186/1550-2783-1-2-7.4.Balcı AK, Koksal O, Kose A, et al. General characteristics of patients with electrolyte imbalance admitted to emergency department. World Journal of Emergency Medicine. 2013;4(2):113-116. doi:10.5847/wjem.j.issn.1920-8642.2013.02.005.5.Rubenstein AH, Mako ME, Horwitz DL. Insulin and the kidney. Nephron. 1975; 15(3-5):306-26.6.Artunc F, Schleicher E, Weigert C, Fritsche A, Stefan N, Häring HU. The impact of insulin resistance on the kidney and vasculature. Nature reviews. Nephrology. 2016; 12(12):721-737.7.Waldman HS, Krings B, Basham SA, Smith JW, Fountain BJ, McAllister MJ. Effects of a 15-Day Low Carbohydrate, High-Fat Diet in Resistance-Trained Men. (1533-4287 (Electronic)).8.Pasquali R, Parenti M, Mattioli L. Effect of dietary carbohydrates during hypocaloric treatment of obesity on peripheral thyroid hormone metabolism. Journal of endocrinological investigation. ; 5(1):47-52. [pubmed]9.Fontana L, Klein S, Holloszy JO, Premachandra BN. Effect of long-term calorie restriction with adequate protein and micronutrients on thyroid hormones. The Journal of clinical endocrinology and metabolism. 2006; 91(8):3232-5.10.Chen L, Caballero B, Mitchell DC, et al. Reducing Consumption of Sugar-Sweetened Beverages Is Associated with Reduced Blood Pressure: A Prospective Study among U.S. Adults. Circulation. 2010;121(22):2398-2406. doi:10.1161/CIRCULATIONAHA.109.911164.11.Magnesium Fact Sheet for Health Professionals, NIH12.He FJ, MacGregor GA. Beneficial effects of potassium on human health. Physiologia plantarum. 2008; 133(4):725-35.13.Ho K-S, Tan CYM, Mohd Daud MA, Seow-Choen F. Stopping or reducing dietary fiber intake reduces constipation and its associated symptoms. World Journal of Gastroenterology : WJG. 2012;18(33):4593-4596. doi:10.3748/wjg.v18.i33.4593. Also known as lactic acid, lactate can be produced throughout the body naturally.2 It’s a result of rapidly burning carbohydrate when the demand for energy is high, and oxygen availability is low, such as during sprinting or other high-intensity workouts. 1.Patrizia Proia, Carlo Maria Di Liegro, Gabriella Schiera, Anna Fricano, and Italia Di Liegro. Lactate as a Metabolite and a Regulator in the Central Nervous System. Int J Mol Sci. 2016 Sep; 17(9): 1450. Published online 2016 Sep 1.2.Matthew L. Goodwin, M.A., James E. Harris, M.Ed., Andrés Hernández, M.A., and L. Bruce Gladden, Ph.D. J. Blood Lactate Measurements and Analysis during Exercise: A Guide for Clinicians. Diabetes Sci Technol. 2007 Jul; 1(4): 558–569. Published online 2007 Jul.3.McGehee JC, Tanner CJ, Houmard JA. A comparison of methods for estimating the lactate threshold. J Strength Cond Res. 2005 Aug;19(3):553-8.4.Hobson RM, Saunders B, Ball G, Harris RC, Sale C. Effects of β-alanine supplementation on exercise performance: a meta-analysis. Amino Acids. 2012 Jul;43(1):25-37. Epub 2012 Jan 24. As a health and fitness business owner, I am well aware of the majority of Americans who make a New Years Resolution to "Lose weight", "Eat healthier" or to "Get in shape". I cringe every time I hear someone say this. 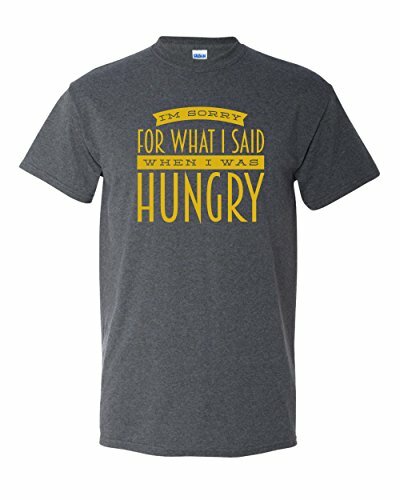 Being a Licenced Mental Health Counselor, an Eating Psychology Specialist and a Certified Personal Trainer, I know that any person saying one or all of those phrases is doomed. They will not "lose weight", eat healthier" or "get in shape" next year. How can I be so certain? Because of the way they are stating their goals. These kinds of general goals are never achieved. Defining your goals by following the SMART rule is very important for new years resolutions. S- Specific: How many pounds can you reasonable and realistically lose? A safe way to estimate is to assume an average loss of a pound a week. Is it more realistic to have a body composition goal instead of a pounds lost goal (highly suggest this for those over 40!). Be specific: "I plan to reduce my body fat from 48% to 30%." M- Measurable: How will you measure this? Do you have a body composition scale or another way to measure it? How often will you measure it? How will you track it? What is the rate of change you are looking for? For example "I want to lose a pound a week at a minimum." A: Attainable: Again, setting a pie in the sky goal may make you feel hopeful and fill your brain with visions of you looking amazing in a swimsuit, but we need to bring you back to reality. To safely lose weight in a way that is sustainable (i.e. permanent) you may have to drop your standards a bit. I had a client ask me if she would ever have arms like mine. I said yes, but you may be looking at achieving this a lot further down the road than you may be willing to work at it for. Be realistic. That fad "30 pounds and 30 days" diet may work short term, but guess what, I have a roster full of clients who did those programs (some even several times over) and gained all the weight back plus some. Why? Because that 30-day lifestyle was not sustainable, and I argue, the methods used just are not safe for your health in the long run. Add to the A an accountability partner...actually several accountability partners. Research shows you are up to 90% more likely to achieve your goals if you make them public and regularly update and check in with your accountability partners. So yes, announce it on social media and ask people to hold you to it. And dont get mad at them when they call you out when you post a picture of the 3rd slice of pizza a bucket of fries you are having for dinner. R: Relevant: One of the best excuses I received from a participant for not following the nutrition plan was "The nutrition plan is not conducive to my lifestyle." I had to do a double take and conceded that he was right. Some people just live a lifestyle of drinking beer and eating hot wings. It's their thing and they wouldn't be "them" without this. Look at your goal to fit into that size 2 dress and ask yourself, "Am I willing to give up the specific lifestyle that I have that keeps me from being able to fit into that size?" If the answer is "no", then you need to change your goal. How about a goal of eating on the plan from 7:00 am to 6:00 pm and have a chat window from 7:00 to 8:00 pm and not worry about making a goal to be a certain size, rather, eating healthy most of the time. T: Time: This is a big problem with Americans. Everyone says they don't have time to workout or to meal plan and prep, yet they binge on 6 hours of Netflix on a Friday night. 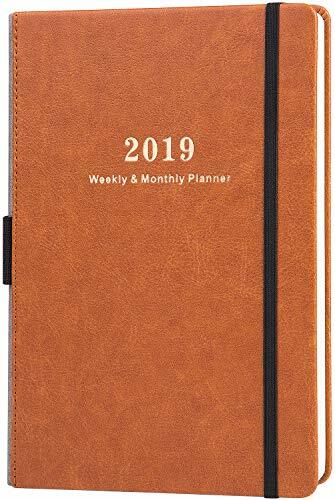 If you dont give yourself a time schedule to achieve your small goals that lead up to your big goal, time will fly by and that goal will stay just as far away as it was a year ago. Schedule time in your day, every day to be active. Schedule time every week to meal plan, grocery shop and meal prep for the week. Your time reflects your priorities. Take a week and just monitor how much you spend watching TV or on social media. I bet its much more than you thought. If you would just cut back on a few hours each week on those sedentary activities and replace them with the activities that will get you closer to achieving your goals, no time is lost. You dont have to "fit in" anything extra in your life, you are just getting rid of some of those time-sucking behaviors that are getting in the way of your goals. FTW Founder and CEO shows us an awesome suspension system workout. FTW Cadre Cory Sanden leads us through a high-intensity interval step workout. FTW Cadre SGT Sanden leads us through a quick yoga-inspired stretch routine. All you need is a mat! We recommend the yoga mat from Evolve Fit Wear, they have some pretty awesome and unique yoga mats! All rights reserved. Copyright Fire Team Whiskey 2018. All rights reserved. Copy Right 2018. Fire Team Whiskey, LLC. All Rights Reserved. FTW Cadre SGT Cory Sanden shows us how he pushes past plateaus by adding super set and drop sets to his workout routines. This workout requires either a resistance band (we recommend having a couple sets with different resistance) or a couple sets of dumbbell weights. Copyright 2018 Fire Team Whiskey LLC All rights reserved. Experienced sprinters recognize that warming up with breathing exercises, lengthy runs, tempo runs, and speed work are all crucial to enhancing performance. What's more perplexing, perchance, is arranging these sessions so you get the maximum out of every work. 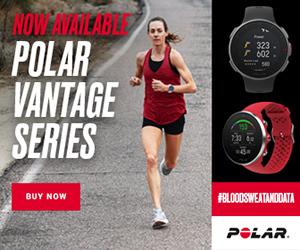 "It's significant to phase your exercises appropriately, and a proportion of runners do it incorrectly," states Jason Fitzgerald, a Washington, D.C.— centered trainer, 2:39 marathoner, and creator of StrengthRunning.com. Receiving the precise extent of a break in the middle of quality exercises and prior to races aids the body get better and adjust while knowing the perfect time of day to do particular runs can produce a more fruitful session. Evidently, at whatever time you can go out and run is when you have to run—but if you've got choices, here's exactly how to time everything accurately. Early morning exercises are performed between 5 am and 7 am. For a lot of us with steady 9-to-5 careers and hectic family lives, physical activity needs to be done as the lark rises. • Feels excellent in the summer while the dawns are bright and warm. • Feels great to know you’ve already done your workout and now can face the day. • Forms mental strength: if you can do it as soon as you wake up, you can do it any time you want. 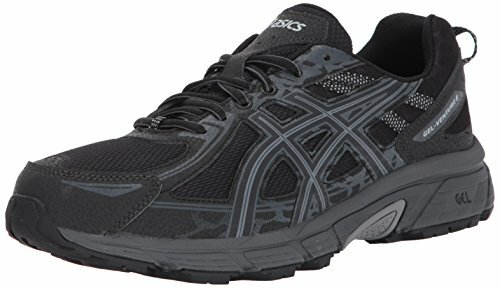 • Less traffic, foot-travelers and other roads/path users. • Tough to do in the winter when it’s icy and murky. • Can be pressed for time fitting it into a taut space. This is in the middle of 1 pm and 2 pm. For a lot of us, a mealtime run is an excellent chance to take a rest from the place of work, get some fresh air and bank some miles. 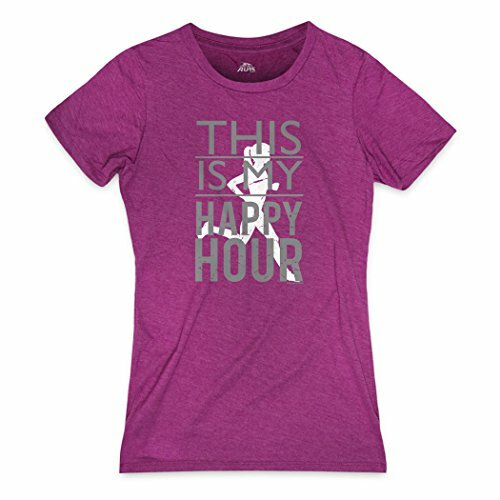 • Gets your run done during office hours so you can unwind after work. • Offers chances to run with other people if you can breed some eagerness at work. • Studies have revealed those who work out at lunchtime pay attention more and can be more useful at work in the afternoon. 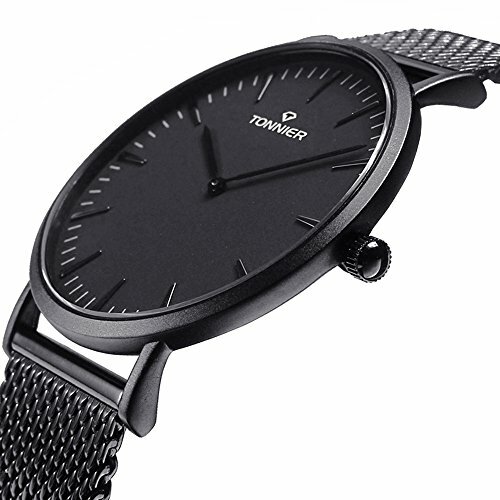 • Restricts you time-wise as lunch normally takes an hour. • It may be that you have to hurry your lunch, and could possibly miss it. • If your place of work doesn’t have a decent shower, you could rapidly become very disliked by your colleagues. This is in between 10 am and 11.30am. Even though we may be at our maximum attentive mid-morning, it may not be practical for a lot of us to plan a run at this period. • By this time, your body has completely awakened and you feel more equipped and primed. • Your muscles function and lung performance are up to the mark. • You’re emotionally at your daily peak. This time is from 5 pm to 8 pm. Evening running is good for a lot of folks. Can this be the ideal hours for nailing your exercise? • It’s been scientifically revealed that athletes do an improved job when body temperature is higher. This characteristically rises early evening. • Lung function has been revealed to be healthier in the afternoon than at other times of the day. • It feels physically easier to run more rapidly, which means that your exercises quality is enhanced. 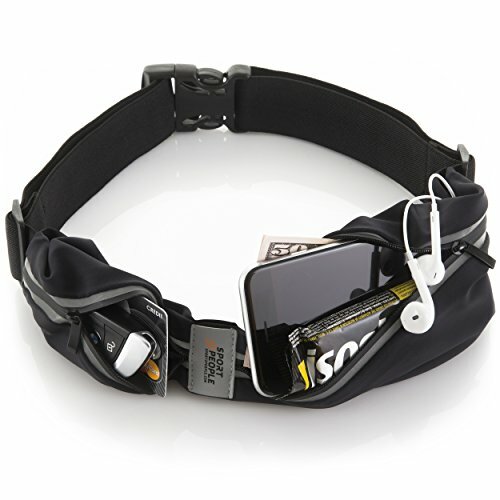 • Your work day has ended, which means that you have dedicated time to devote to your exercise. • It can be a tussle to find the enthusiasm. It’s easy to ignore and skip it if work runs over, children need picking up or life, in general, gets in the way. Once the window of running chance has left, it's left. • If you live in built up or city regions, roads/paths can be full of traffic and pedestrians. This is in the middle of 9 pm and 11 pm. For those working shifts or with very hectic work and domestic obligations, this may be the only time likely to plan a run. • If this is the only time you can run, it’s still a lot better than not running at all. • Streets more expected to be silent. • Your body might be exhausted, which means that you are not as open to exercise or possibly as adaptive to the profits. • You’re not certain when to eat: afore your run or subsequently? If later, this can mean that you’re going to bed late on a bursting stomach. • Perceptibility will turn out to be an issue. Many of us who are watching our weight, or just really care about staying on plan struggle around the holidays. Every holiday party is packed with carbs and sugar. We fear being judged or having to deal with the backhanded comments from fellow gathering attendees “You are not fat, you need to eat” “It’s the holidays, can’t you just enjoy yourself?” or the lovely “Well if you think your fat and shouldn’t eat this stuff…then you must think I am a whale!” (yes, all said to me at holiday gatherings). Alright, feeling a little better? No? Our next suggestion is to bring 2 -3 things that fit your diet that you can share! Who knows? You may inspire someone to follow your lead and switch to a low carb lifestyle! We suggest bringing an appetizer, a side and a desert. Combine with the turkey and you have all the bases covered. 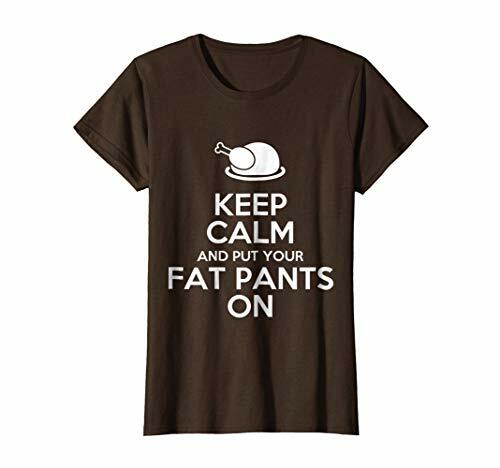 What is great is that you can take any traditional thanksgiving recipe and with a couple of changes, make it low carb (and just as good). For example, lets take the traditional green bean casserole. Take the traditional recipe that uses cream of mushroom soup (that commonly has flour in it and also canola oil) and make your own cream of mushroom soup instead. Here is how to make your own cream of mushroom soup. 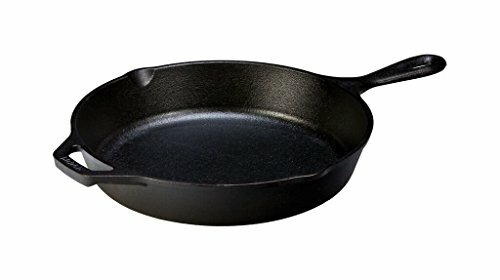 Melt butter over medium heat in a large skillet. When foaming subsides add the mushrooms and season generously with salt and pepper. Saute until mushrooms have released their moisture and the edges begin to turn golden brown, about 10 minutes. Add the flour and stir constantly until incorporated, about 1 minute. Gradually add the chicken stock and then the cream, whisking constantly to avoid lumping. Reduce heat and simmer until sauce thickens, 5-6 minutes. Replacing the breaded and fried onions are easy as well! Slice 1 whole red onion and skillet fry them in ghee or coconut oil and coat them with almond flour or pulverized pork rinds. Add salt and pepper to taste. This will make the perfect “breaded” (not breaded) onions for your casserole. Lastly, make sure to get 2 pounds of fresh green beans (not those sorry soft canned ones) and boil them for 6 minutes. Put the green beans and home made cream of mushroom soup in a casserole dish, top with your onions and bake until bubbling at 375 for about 20 minutes. For desert, substitute pretty much any traditional baking recipe flour for almond flour and sugar for swerve or stevia (whatever your preference is). 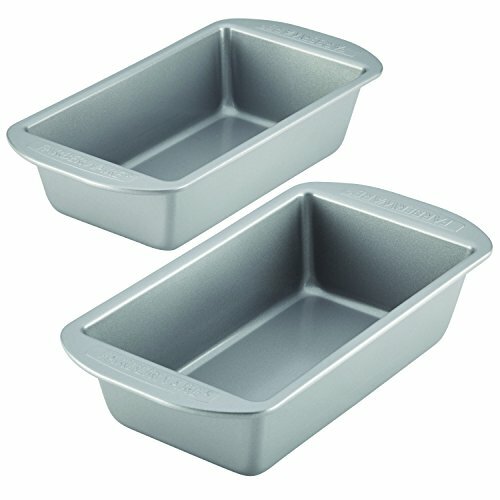 Preheat the oven to 350 degrees F. Spray a 9x5 loaf pan with coconut oil or line with parchment paper so loaf doesn’t stick or use a disposable aluminium loaf pan. In a large bowl, mix together the almond flour, stevia, pumpkin pie spice, baking powder, and sea salt. Add the pumpkin puree, eggs, and melted butter. Mix until well combined. Transfer the batter into the loaf pan and press evenly to make a smooth top. Sprinkle the top with pumpkin seeds and press them lightly into the surface. 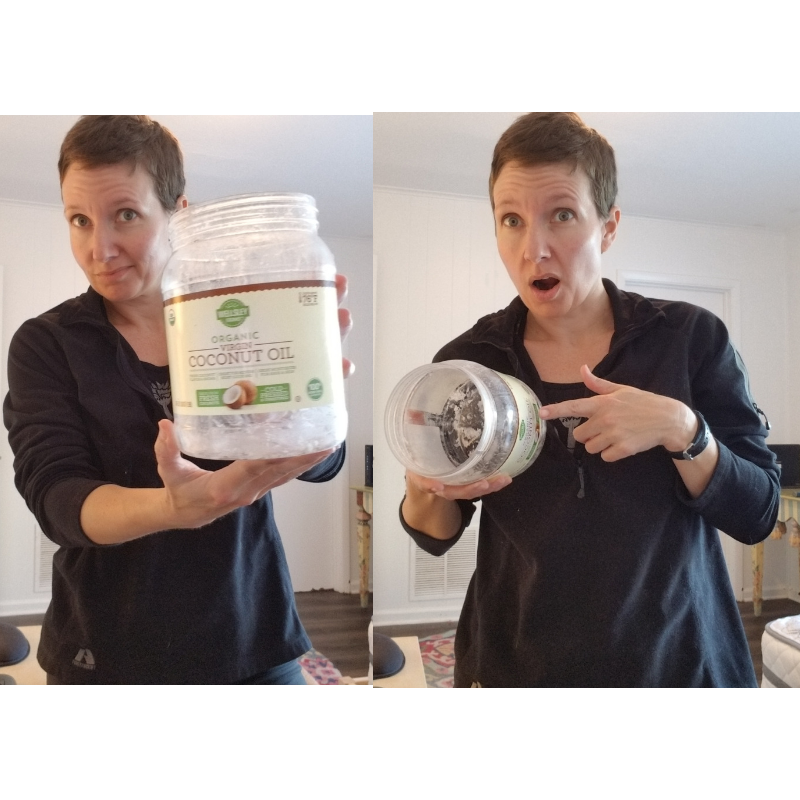 Bringing your own low carb options that are delicious will not only make you feel great about sticking with your plan, but will impress your skeptical friends and family and possibly convince them that this low carb thing may be a great way to live! Copyright 2018, Fire Team Whiskey, LLC All rights reserved. Fire Team Whiskey Founder is BUSY! She runs two businesses, is a mom to 5 fur animals and has to keep herself and her Fire Team Whiskey Participants fit and in shape (which means she has to do the same for herself). Here is what CPT Lincoln does most weeks to ensure that her meals take less than 5 minutes to make, so she can get back to her day! 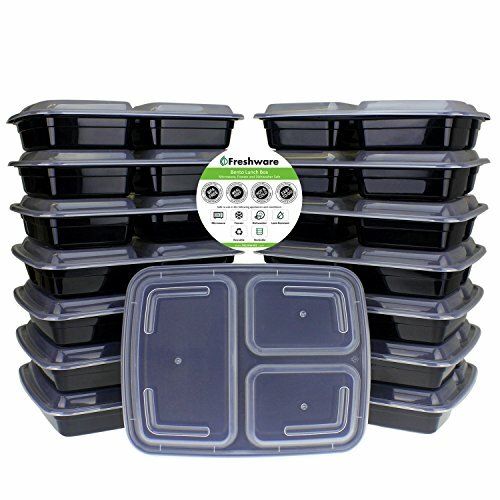 By the way we love these meal prep bento boxes to get everything prepared for every meal of the week. These are perfect for busy families and people who want everything prepared and ready to run out the door each day. According to AAA, 107.3 million Americans will travel over the holiday season. We all have had our experiences with holiday travel. Some good, some bad, some UGLY. What we all have in common is the interruption of our health and fitness efforts during this holiday travel season. We are out of our routine, we may not have access to a gym, Grandma keeps giving you seconds (and thirds) of her delicious banana pudding. We end up arriving home bloated, exhausted, lethargic, and feeling oh so very far away from those health and fitness goals we were so committed to before we left. Here are 5 tips to keep you on track during the holiday traveling season. 1. DO A RECON: In the military, a unit normally doesn’t enter enemy territory without some sort of recon. This means someone took a look at the area, gathered information and made a smart plan of attack. Treat your travel in the same way: do a recon. Know where you are staying? Do a google search and check if there is a grocery store near your hotel. Contact the hotel and ask to have a room with a refrigerator. Find out if the hotel has a gym, and if so, what type of equipment. If not, what gyms are nearby or are there other workout options in the area such as running trails, crossfit gyms or yoga studios. Make sure to pack your workout clothes and running shoes! 2. MAKE A PLAN: Make a plan in advance to swing by a grocery store on your way to the hotel and pick up healthy snacks and drinks for the room. Contact the gyms ahead of time and inquire about drop in rates or temporary memberships. Or, use your Fire Team Whiskey subscription to do workouts from your hotel room, because no equipment is required! Schedule your workouts for each day of your vacation so that it will not interfere with your other plans. Plan out your meals and snacks to ensure that you always have something available that falls within your eating plan. 3. PRACTICE YOUR ASSERTIVENESS SKILLS: Nothing is more awkward than being put in a situation to refuse a person’s hospitality. We suggest that you contact the family members you may be visiting ahead of time and politely ask that food that complies with your eating plan needs be a part of what they are offering. Or better yet, offer to bring a dish (that happens to be a healthy choice that you can eat) for everyone. When pressed to have something you do not want to eat, say politely but firmly “Thank you, it looks delicious, but I am just so full I couldn’t eat another bite.” Some may be more insistent than others, be firm and just say no thank you. 5. THE ONE CHEAT RULE: We are certainly not suggesting that you not enjoy anything “off plan” during your holiday travels. The trouble is, it is easy to completely annihilate weeks of hard work in a period of a few days. Make a goal of having ONE CHEAT per day during your holiday travel that would be normally considered off plan for you at home. One means one. Not my cheat today is having beer and you drink 7 beers. If you normally limit yourself at home to one drink, then your cheat would be an additional drink. If you normally don’t have desert at home, have a small desert. Be strategic about it so you truly enjoy it. This means you may have to pass up on a potential cheat earlier in the day in order to have a treat later that you were looking forward to having. We hope these tips help you stay on track during your holiday travels. Don’t have plans yet? If you haven’t already heard, you can get free vacations for military families at Westgate Resorts during their upcoming Military Weekend Giveaway. Also, check out Westgate’s portfolio of military discount hotels if you’re looking for a deal on your next getaway. They have awesome deals on Orlando Vacation getaways! Have you ever been to Disney during Christmas? It’s amazing! Plus, it’s Florida, the place to be in the winter. Check out their hotel deals for Military Families! Fall is in the air and pumpkin spice everything is EVERYWHERE! The problem is, almost everything with pumpkin spice in it, has a ton of sugar and carbs in it. If you are a pumpkin spice latte lover, you are going to love this “spiced up” version of the Fire Team Whiskey SpecOps® Shake! Wave as you pass up the Starbucks run and make your own ZERO added SUGAR version at home or at work! This recipe does require a blender. 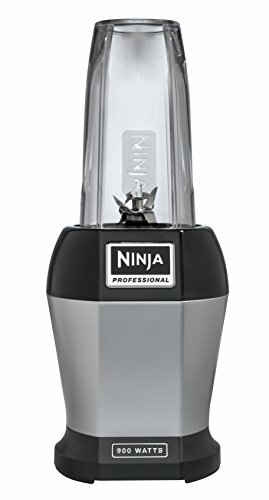 We recommend the Ninja Blender (CPT Lincoln owns two, she has one at home and one at work). Place all the ingredients in the blender with 8-12 ounces of water. Add ice if you want to make it “milshakey” in texture. Blend. If you want to get fancy top off with a dash of cinnamon and a few pumpkin seeds. ENJOY! Copyright 2018 Fire Team Whiskey LLC, All rights reserved.